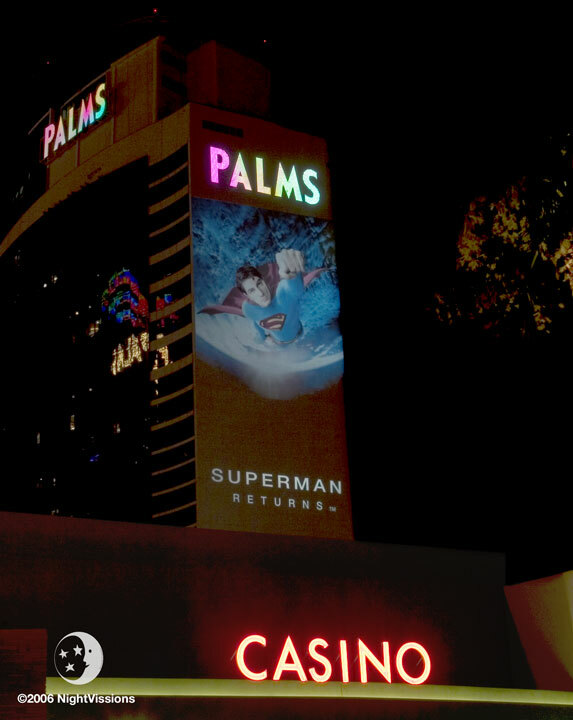 Elite Media Projects Superman Image on Palms Fantasy Suite in Las Vegas for Movie Premiere! Warner Bros. Pictures is hyping up its upcoming release of Superman Returns with a buzz-marketing campaign around the superhero’s iconic “S” shield days before the film hits theaters nationwide June 28. The studio will project Superman’s “S” shield on popular landmarks around the country, including Niagara Falls, the Time Warner Center in New York City—where it will be visible from Central Park and other locations in Manhattan—on the Queen Mary in Southern California’s Long Beach Harbor; the Fantasy Tower of the Palms Casino Resort in Las Vegas, Chicago’s Sears Tower and the Mall of America in Minneapolis. To honor Superman’s flying ability, groups of skydivers today will leap from airplanes in synchronized jumps above major cities across the U.S. to celebrate the release of Superman Returns. 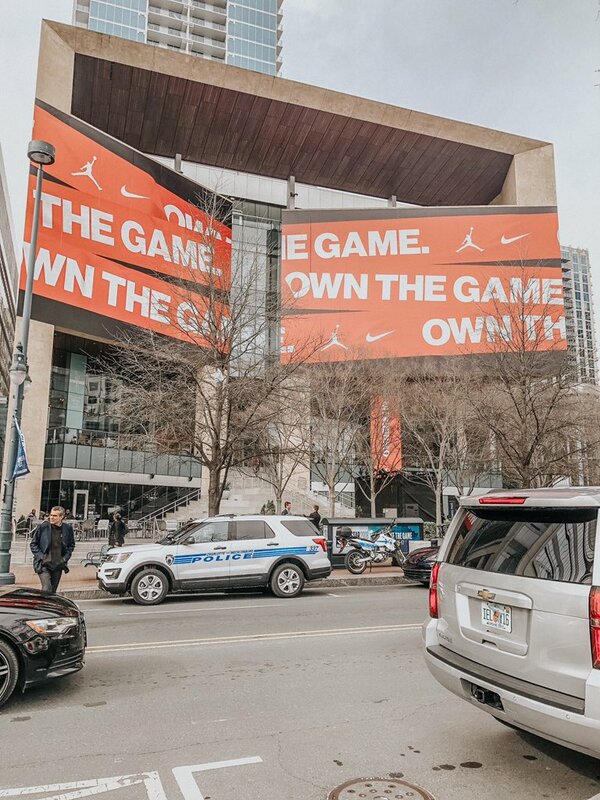 Participating cities include Boston, Dallas, Denver, Detroit, Phoenix and San Francisco. In select cities, skydiving teams will form a human S-Shield as they soar down to earth. In other cities, skydivers will carry large S shield banners, which will be visible from the ground. Promotional partners, including Pepsi and Frito-Lay, among others, are backing the film with a host of promotions. Warner Bros. has received more than $280 million in promotional support for the movie worldwide (PROMO, June 2006). In Superman Returns, the Man of Steel returns to Earth after visiting Planet Krypton to save the world from the clutches of evil and to reclaim his lost love. It’s Warner Bros. latest film in the Superman franchise in 19 years.